NASHVILLE – An investigation by Special Agents with the Tennessee Bureau of Investigation and multiple law enforcement partners in Florida has resulted in the arrest of three men on theft-related charges. At the initial request of 22nd District Attorney General Brent Cooper, TBI Special Agents began investigating information that Gopalbhai Shivramdas Patel, Riptesh Hasmukhlal Patel and Ashokkumar Prabhakar Raval, all from Florida, were involved in a fraud investigation that had ties in Tennessee. The investigation revealed that the three were involved in receiving and laundering money obtained through a scam, in which victims were contacted by phone and threatened with arrest if they didn’t deposit U.S. currency into a named bank account. Information obtained during the investigation showed that over a three-month period between 2014-2015, the three men received over $900,000 from the scheme, and subsequently funneled money into overseas accounts. As the investigation progressed, information was developed that the fraudulent bank accounts in question were initially opened in Williamson County, at which point 21st District Attorney General Kim Helper also got involved. On October 19th, TBI Special Agents obtained arrest warrants out of Williamson County for the three Florida men. 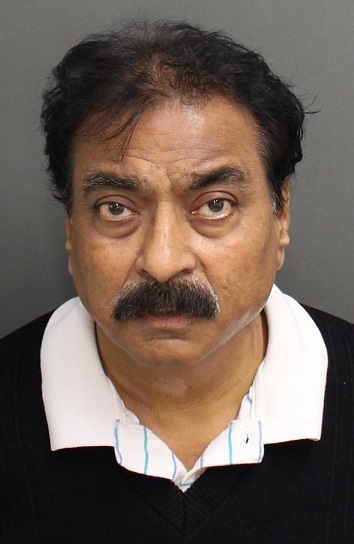 On Friday, Gopalbhai Patel (below left), 59, and Riptesh Patel (below middle), 35, were arrested in Orlando. Raval (below right), 63, was arrested in Tampa. The three men are each charged with one count of Conspiracy to Commit Theft over $250,000 and one count of Money Laundering, and are being held without bond on the charges from Tennessee. 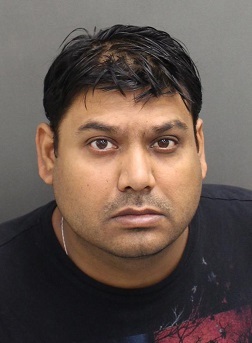 Multiple law enforcement partner agencies assisted with the investigation and subsequent arrests, including The Florida Department of Law Enforcement, the Tampa Police Department, the Orange County Sheriff’s Office, and the Internal Revenue Service.